In an effort to clear up confusion and proved further clarity, the USDA has opened the U.S. Grade Standards for Potatoes for comments on some changes to the grade standard. In 2008, the USDA recently revised the potato standard, but admittedly made some mistakes that need fixing. For years the potato industry has been marketing mixed variety, specifically mixed colors of potatoes (red and whites) in specialty packages. The proposed Grade Standard will now recognize these packs. In the current standard the tolerances for defects as shipping point (packing house) are 5%, while at destination the tolerances were increased to 7%. 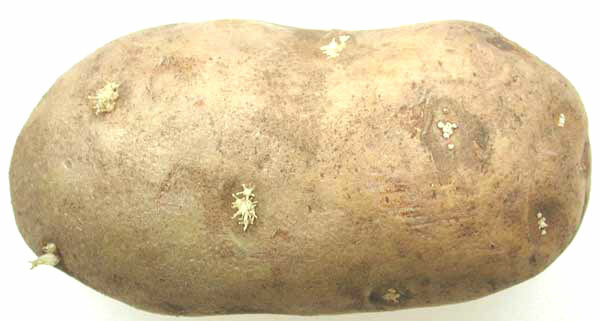 Meaning the potatoes could be packed, out of grade (having 6% or 7% quality defects, such as sunburn or misshapen), shipped, and re-inspected at a warehouse and the lot would be in grade. The USDA has proposed to correct this oversight, and will still allow 7% defects at destination, but not more than 5% of these defects can be quality or permanent defects. Reviewing this standard I don’t see any specific language addressing this concern. If the USDA would develop a visual aid, depicting what is a defect by clusters of individual sprouts, then we will have something other than a subjective opinion by the USDA inspector determining what a defect is and what is not. U.S. No. 1 potatoes allow for twice as much soft rot than the lower, U.S. Commercial Grade. I assume during the next change to the potato standard the USDA will correct this mistake. Wow. Why would USDA allow 1% soft rot on a Commercial Grade and 2% soft rot on a US 1, a higher grade?